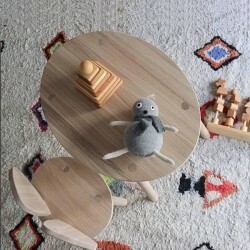 The mouse chair seat and back is perfect for a child to fully relax in while reading a book, and stable enough to stand on without tipping. This chair is solid, stable, and worthy of keeping for the next generation. 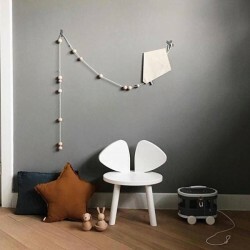 The mouse Chair is one of those "can't go wrong" gifts that any child will love. 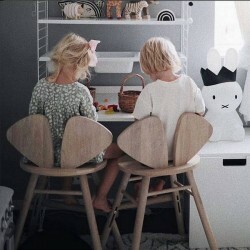 Sustainably crafted in Europe with oak plywood, the robust chair is a cheerful piece of furniture that’ll blend favourably among the wonders of your little one’s world. H.45 cm x W.35 cm x .28 cm. Seat height: 25 cm. By buying this product you can collect up to 17 loyalty points. Your cart will total 17 points that can be converted into a voucher of 5,10 €. Dimensions Height 45 cm x width 35 cm x depth 28 cm. Seat height: 25 cm. Washable Hand wash in mild soap only. Don’t use products containing ammoniac.